Those of you that have been readers of Moments of Mommyhood for a while may remember the Alphabet Book that I made with Madelyn and Felicia several years ago. We made a page for every letter of the alphabet and put them together in a binder. While we still have that book, I thought it would be fun to create a new book with Stella. I plan to get started on it next week! 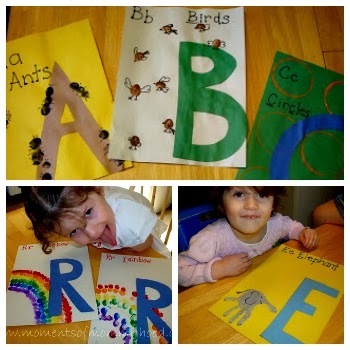 We are hoping to do a letter a day which should help keep us busy while we are stuck inside from the cold. Blah! Thanks for visiting! Come back again! 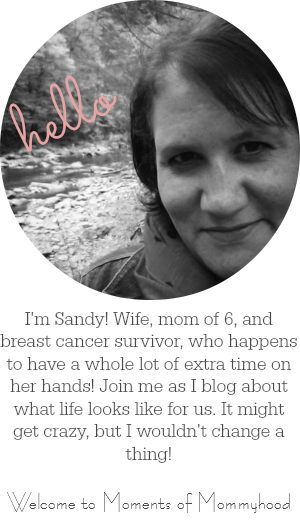 © 2008-2019 All images and text are property of Sandy Adams unless otherwise noted.